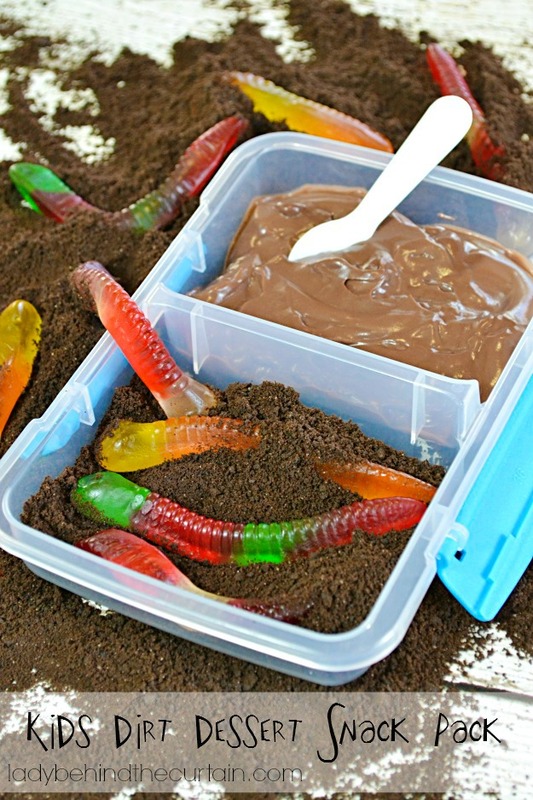 Pack this fun Kid’s Dirt Dessert Snack Pack in your kid’s lunch and he/she will be the most popular kid in the lunch room. 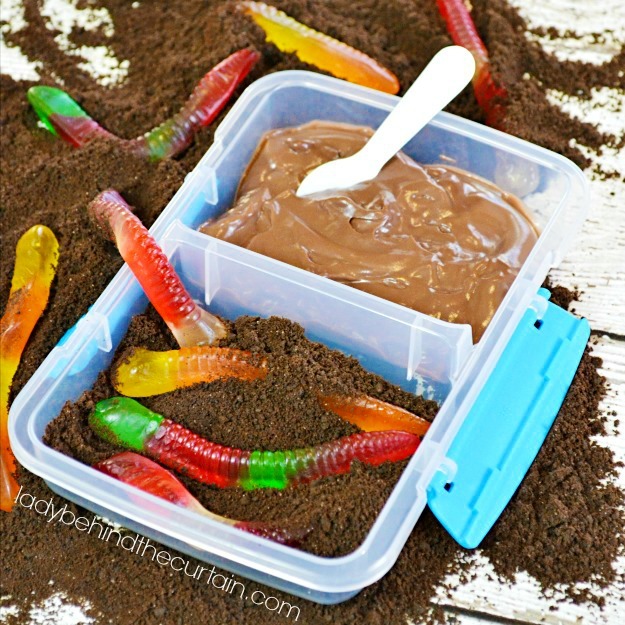 Wouldn’t it be fun for your kids to discover this fun Halloween treat in their lunch? First I found the small divided container at Target with the different bento lunch containers. Everything else is store bought and can be put together in 5 minutes! 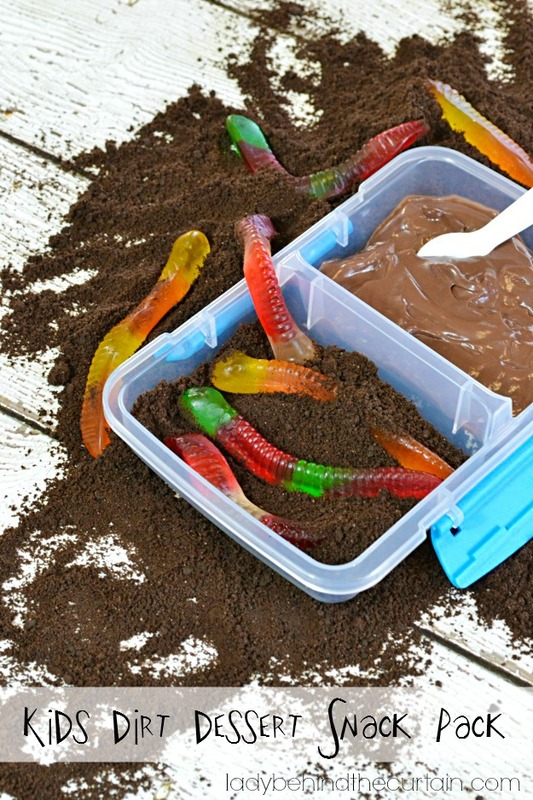 Yes, a 5 minute dessert that’s fun! On one side add the contents from a chocolate pudding cup. 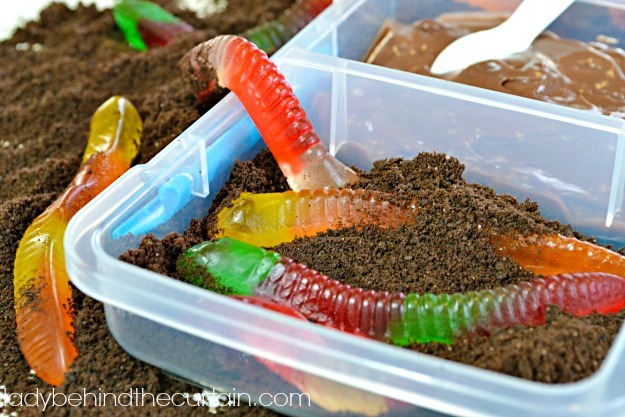 On the other side add crushed Oreo cookies (I used Oreo cookie pie crust crumbs) and a few gummy worms. Don’t forget the spoon. If you don’t have mini spoons like I used you can purchase small wooden spoons from Michael’s like the ones you get with those sundae cups. They’re on the aisle with the pom poms, felt and other craft items. 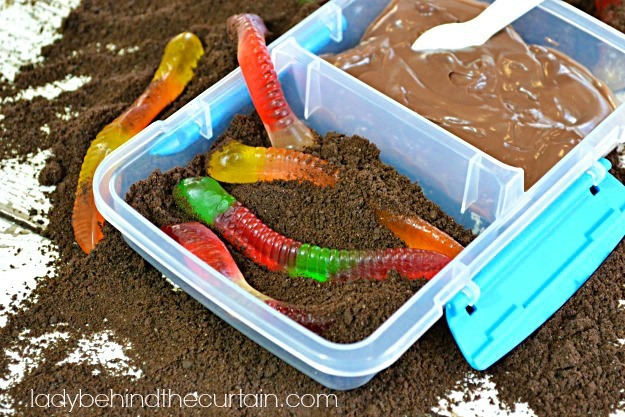 This is so cute and my kids would go crazy for it! Thanks, Sheryl! That is so adorable Sheryl! !